Western Carpet Center has been serving the Puget Sound area since 1986. Our professional and courteous staff is fully prepared to help you find exactly what meets your needs, in terms of comfort, price and style. 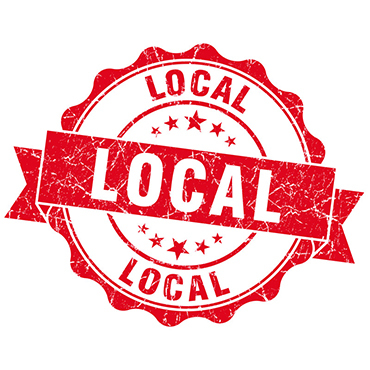 Western Carpet Center has been family owned and operated right here in the same Lynnwood location since 1986! Don't expect to see any deceptive marketing here at Western Carpet Center. Why don't we offer whole-house installation for only $79 or less like many other carpet stores? Because it can't be done without secretly adding to the price of materials. At Western Carpet Center, expect REAL honest deals right from the start. Prices that will FLOOR you! It's simple, our lower overhead means lower prices. If for some reason our price isn't already lower than the competition's, let us know and we'll make it so! Some places advertise installed prices...how do I compare "apples to apples"? At Western Carpet, all our pricing is "a la carte". We can certainly quote you installed prices, if that's what you require. Not every customer needs to have their old carpet removed and disposed. Many folks choose to install their own flooring rather than have us arrange for installation on their behalf. You get to choose which grade of pad you'd like to have under foot, rather than the one that's included in our "package". 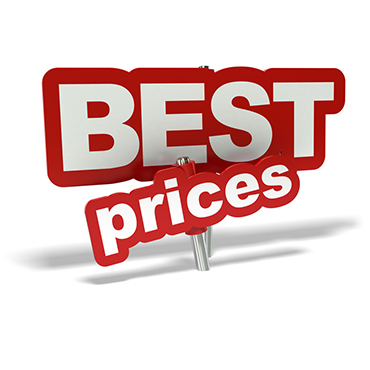 Our pricing allows you to pick and choose which individual elements are required for your individual situation. Don't worry, we'll help you every step of the way. As you can see from our website, we carry a pretty extensive array of flooring products. These are the products we regularly display samples of in our showroom. These are the manufacturers that we know offer the best in quality and customer service, knowledge we've gained through first hand experience. If you want to purchase a product not listed, ask us to obtain a sample for you. If it's out there, we can gain access to it. Absolutely. In fact, we encourage you to check out samples to take home for a 24 hour period. We use full spectrum lighting in our showroom, but it's important for you to view material in it's final "habitat". Every room combines light source, surrounding colors and textures to create a color pallete all it's own. We do ask that samples come back the next day -- if they're in your home, that means they're unavailable to another customer. We'd be happy to pick them up for you when your sales specialist comes to inspect and measure the job site. What are my flooring options as a "green" consumer? The days of landfills full of carpet will soon be coming to an end. All major carpet manufacturers are in the process of developing extensive recycling programs. Today's nylons are made of completely recycleable material. Check out our mill links to view additional information on "cradle to cradle" recycling. As far as hard surface goes, there are several eco friendly options in woods. We offer both cork and bamboo flooring, as well as a number of "reclaimed" wood products. I'd like to develop a "look" for my space, but I'm not really sure how to go about it. Can you help? Yes! We're seeing more and more customers embrace color and texture as a way to create a unique style for their living space. In the last several years, manufacturers have developed the technology to make "designer" looks much more affordable. All our sales specialists are trained in color and pattern trends. We can help you create the room you've only dreamed of. Every manufacturer provides a warranty on the materials themselves. Should there ever be a problem, we'll be beside you every step of the way, coordinating your claim and facilitating contact between you and the mill. As for installation, if we've arranged the install on your behalf, then there is a one year guarantee on installation problems (industry standards state that installation problems show up quickly -- so the year window is just added protection for you!). Your name is Western Carpet Center. Do you only carry Carpet? In addition to our extensive selection of carpet styles, we can offer vinyl in sheet goods and luxury vinyl tiles, laminate flooring, and wood, both engineered and solid. I hear stores talk about "Mill Direct". How does that benefit me? Not all retailers qualify for a direct purchasing relationship with manufacturers. If a distributor acts as the "middle man" it adds another layer of cost to the product you purchase. Bottom line -- Western Carpet Center is a mill direct purchaser. This means savings to you! Do you stock goods on site? We sure do! Western Carpet Center has a large selection of carpet and sheet vinyl available in stock every day. In addition to offering you instant access to a variety of goods, it also enables us to provide these products at a particularly tremendous value. I found a carpet I like. Is there any way to make it into an area rug? Yes, and it's a terrific idea. Many of our customers purchase a piece of carpet, only to have it trimmed and bound to their specifications. The binding process takes an additional week to 10 days, once the material is available to us from the manufacturer. Do you carry roll ends and remnants? As a stocking dealer, we always have plenty of roll ends and remnants on hand -- in both carpet and vinyl. They're a terrific option when you only need a single room or a small space. An added benefit is that remnants and roll ends are often available at a fraction of the material's original cost! I'd like new flooring, but I'm on a tight budget. Can you help me? Absolutely! Western Carpet Center has flooring products available at every "price point". We can show you anything from "builder base grade" goods to high end "luxury designer" materials. Selection aside, we use a three tiered approach to keeping our prices at the most competitive level. This allows us to offer you the highest value in your flooring purchase. If that's not enough of a budget saver, we always have 6 Months Same as Cash financing available (o.a.c.). How soon will my flooring be available? That depends on the product you select. If your material is in stock -- give us just a few minutes to cut the size you require for the job. If your material is stocked locally by it's manufacturer -- give us a few days to arrange for ordering, pick-up and inspection. If your material is only available at the mill, then you need to add a minimum of 7-10 days for shipment as most mills are located in Dalton, Georgia. How long does the installation actually take? Generally speaking, a single room can be done in just a few hours. A standard home will take either one or two days. If you're planning on recarpeting your occupied house, we can certainly "stage" the job for you to allow you to shift furniture from one area to another during the installation process. I like to do projects myself, but I'm a little unsure where flooring is concerned. When it comes to flooring, you're right to be a little hesistant. Some projects truly require a licensed and bonded professional to ensure a quality finish. Many flooring projects require specialized tools and the trade gained knowledge of how to use them. However, some of today's flooring products are perfect for a DIY project. We even have a free library of Manufacturer Produced Installation Videos that you can check out on loan. Your floors need to be "clean and clear". We'll arrange to have the rest taken care of for you! Don't forget to have a fresh vacuum cleaner bag on hand, as well as a bit of touch up paint, just in case. I'm having quite a bit of work done. How do I know when to schedule my flooring? The general rule of thumb is that flooring is always the last "trade" through the door. It's important that you let your sales specialist know what other work is being done so we can keep it in mind when inspecting the job site and scheduling your installation. At Western Carpet Center we believe that it should be all about you. Our main goal is to do everything possible to make you satisfied. 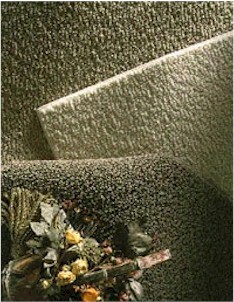 Western Carpet Center carries a complete line of products from the world's leading manufacturers. Click on the links below to find out more about these products. Western Carpet Center has experienced, quality minded professionals in both residential and commercial markets.